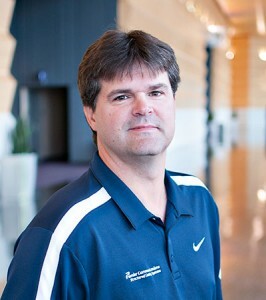 Michael has been working in the low-voltage data and voice cabling industry since 2003. He started with L-A Electric and began working on and then managing low-voltage projects as a journeyman electrician. 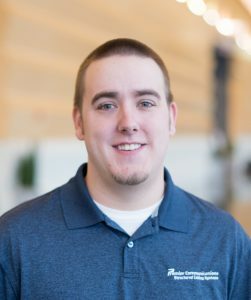 Wanting to serve his industry better, Michael earned his bachelor’s degree in Business Administration from Indiana Wesleyan University and went on to receive licensing from BICSI. In 2009 L-A Electric asked Michael to create a division that specialized in structured cabling, and Premier Communications was formed. Michael currently acts as Premier Communications’ director and their on-staff BICSI RCDD (Registered Communications Distribution Designer). He can be reached at 260-497-8338 or mmansfield@premiercommfw.com. After graduating with a degree in Electrical Engineering Technology from ITT in 1988, Bobby began specializing in security systems. Bobby contracted to L-A Electric off and on over the years for security and other low-voltage systems work. With over 20 years of experience in installation of data cabling, fire alarms, security systems, closed-circuit camera systems and card access systems, Bobby was a natural choice to become a key team member of Premier Communications in 2011. With his background and years of building industry connections, Bobby is an asset to Premier Communications. He can be reached at 260-497-8338 or bables@premiercommfw.com. 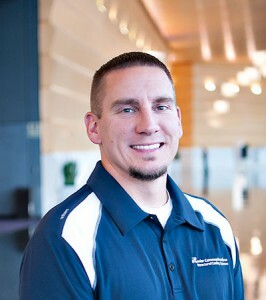 After graduating from Trine University in 2004 with a bachelor’s degree in Computer Science, Nick was hired as an electrician by L-A Electric. After working his way up the electrical ranks, he shifted his focus and became the Lead Technician for Premier Communications in 2010. 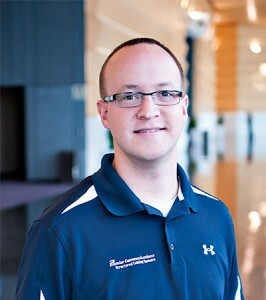 During his time at Premier, Nick has earned the title of BICSI Level II Installer and, in early 2013, BICSI Technician. He handles the day-to-day responsibilities of project management and also serves as a valuable resource for our technicians in the field. With his field experience and industry credentials, Nick is a valuable team member at Premier Communications. He can be reached at 260-497-8338 or ntaylor@premiercommfw.com. 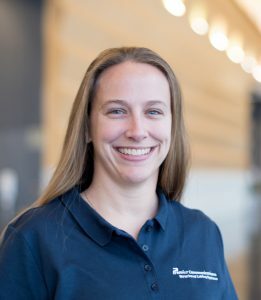 Katie graduated from Indiana University-Purdue University Fort Wayne in 2004 with a bachelor’s degree in Construction Engineering Technology. She began her career in the construction industry as an Electrical Engineer at an architecture and engineering firm in 2002. From there she moved to a position as a Manufacturer’s Rep selling light fixtures for the commercial construction industry. In 2015, Katie was hired by Premier Communications as a Project Manager. Her background in the various aspects of the construction industry has helped her better understand the construction process as a whole and has prepared her to face the challenges of project management and seeing a job through to successful completion. Chris started his career with L-A Electric through his high school building trades program in 2010. Shortly after, he joined the newly formed Premier Communications. In 2014, he earned the title of Lead Technician and, early in 2017, Chris was promoted to the General Superintendent position for Premier. In this role, Chris is responsible for scheduling manpower on projects, overseeing work performed by the field techs and leading hands-on training courses for the techs for all systems that Premier Communications installs. Over the years, Chris has earned many titles and certifications. Some of those include: BICSI Technician, Kantech Card Access certification, ExacqVision certification, Panduit Certified Installer and Edwards Fire Alarm certification. Chris enjoys sharing all of the knowledge he has learned over the years with our techs in order to ensure Premier Communications keeps delivering high quality projects to all of its clients. He can be reached at 260-497-8338 or crose@premiercommfw.com.